Costa Rica Real Estate News – We’ve heard about smart homes and seen them in the movies for years and now they are available in Costa Rica. Some developers are offering projects with built in advanced technologies and there are also systems to add to existing homes. To be considered smart, a house must have devices that both interact with each other and generate data of interest to the user. From an app on a tablet or cell phone the user manages the systems and devices of the house. 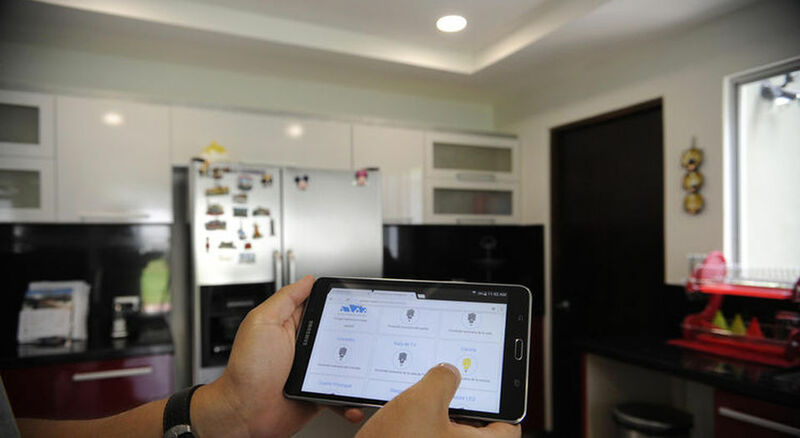 A smart home can include automated systems for lighting management, audio, television and video services, cameras, gates and doors, alarms, garden irrigation, air conditioning, water heaters and leak detection, among many others . The most basic system that is just automated lighting costs $200. For one that also includes audio and entrance control you are looking at $3,000. Some more complex functions may drive the price up a couple grand but nothing like the $100,000 it would have cost ten years ago.